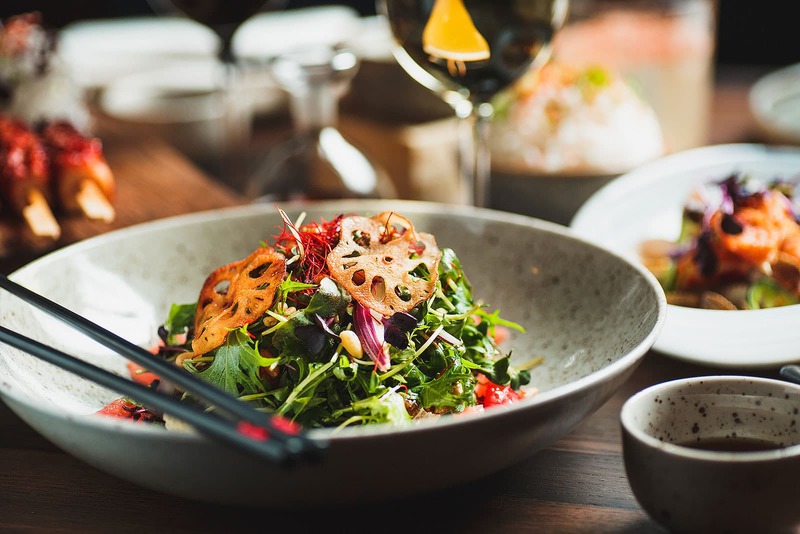 Asian cuisine - sometimes associated with cheap and sticky sweet-n-sour sauce, metallic lucky cats and stale fortune cookies, but more often than not; exotic and flavoursome dishes with an innovative fusion twist. 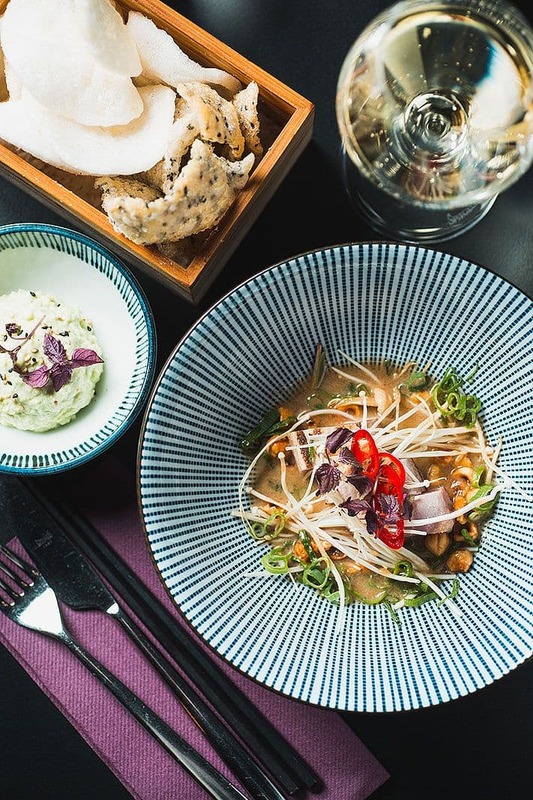 Stockholm houses an abundance of Asian restaurants; opulent Chinese temple-style restaurants, sleek fusion concepts, Japanese fast food diners and trendy Vietnamese eateries. 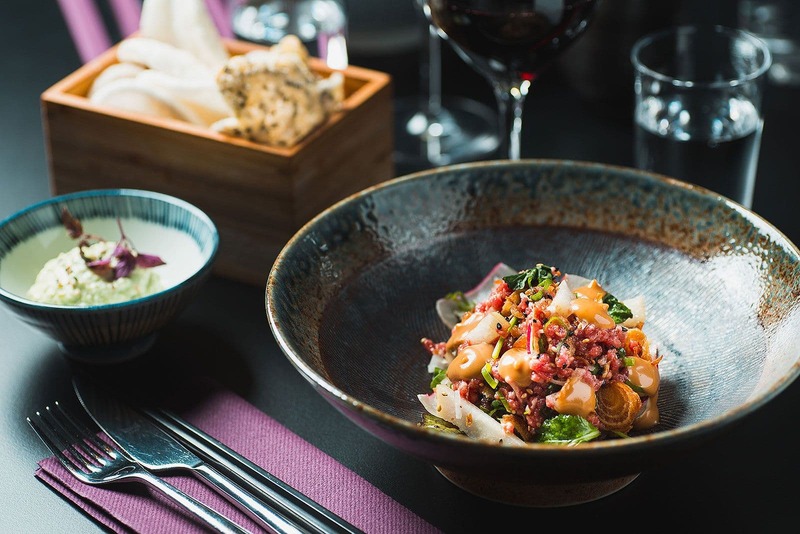 So as to help you peruse the offerings we have created this guide to the best Asian restaurants in Stockholm. 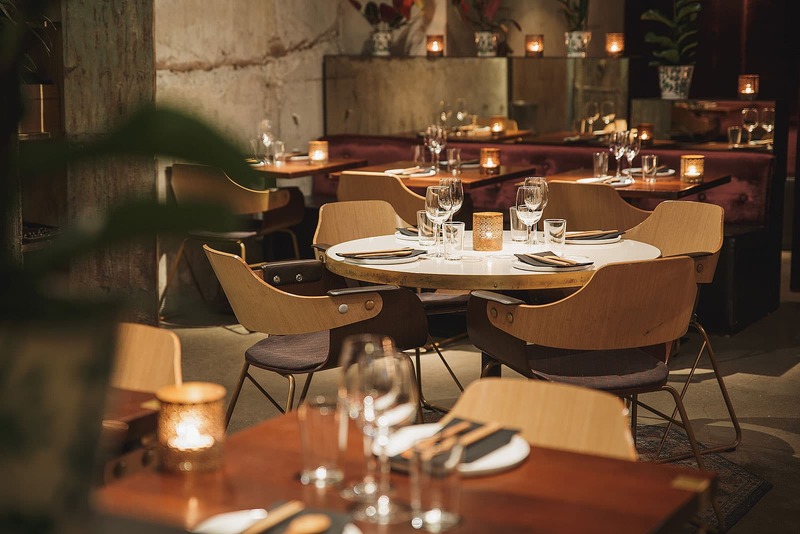 Farang is considered to be one of Stockholm's best Asian fusion restaurants and offers a culinary trip to South-East Asia. The sleek industrial restaurant has a distinct metropolitan feel - reflected in the menu that features exotic aromatic flavours with an innovative edge which can adapted to suit both allergies and vegetarians. 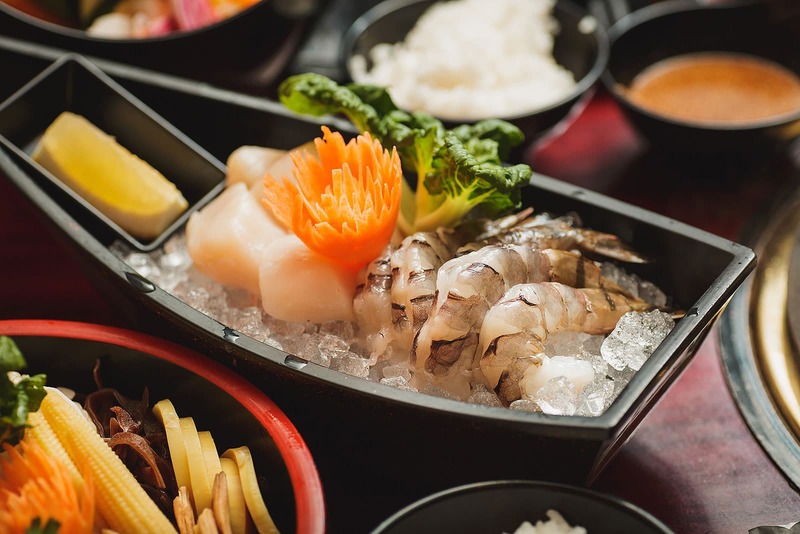 Tako serves Japanese/Korean fushion dishes in an elegant backdrop that includes gently babbling water features. 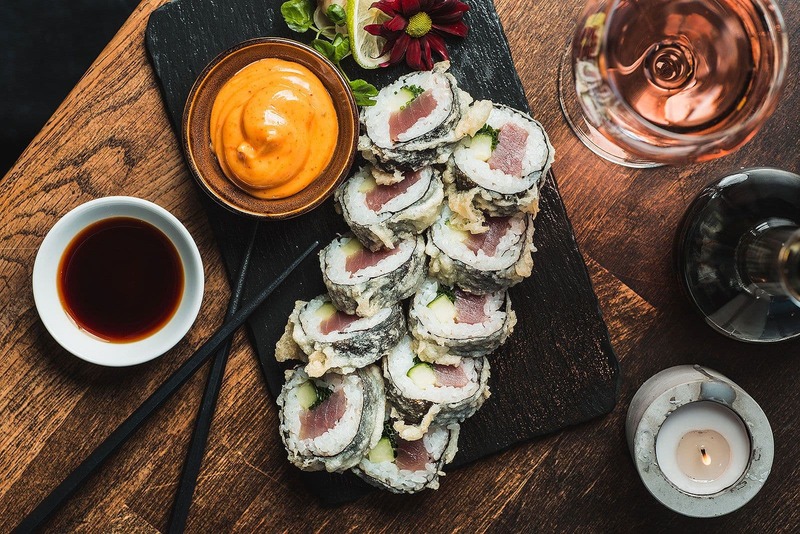 The restaurant has its own rawfood bar and offers everything from sashimi to luxurious grilled dishes to share. There's also a large, lively cocktail bar to hang out at. 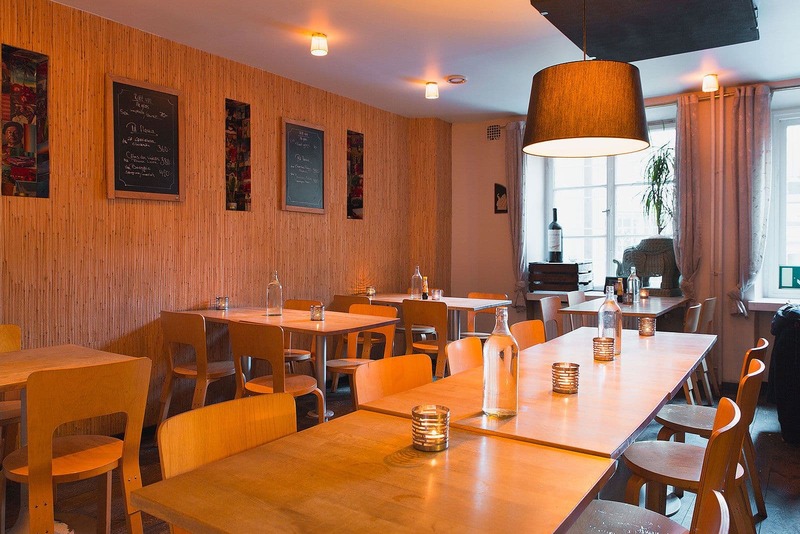 Located under Liljeholmen's bridge, Barbro fuses bistro, bar and cinema. 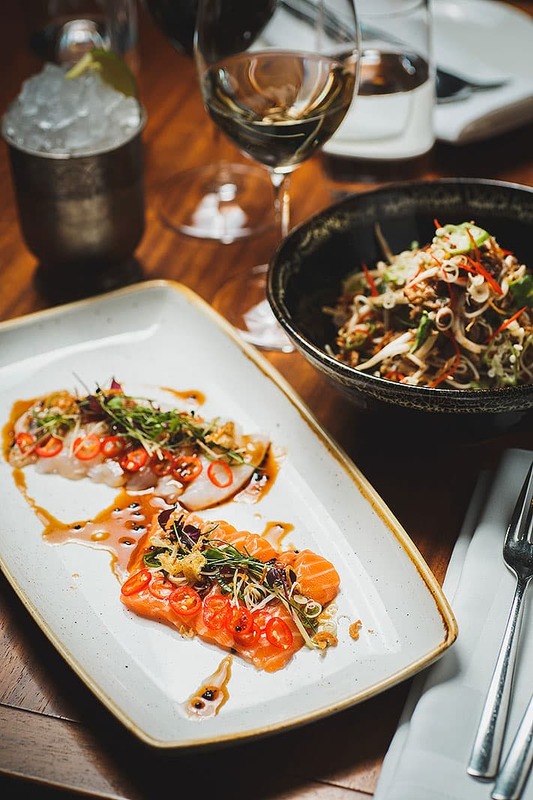 The menu combines Asian and European sensibilities - made for sharing guests are invited to try multiple, beautifully prepared dishes. 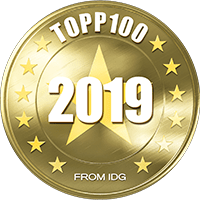 Andrew Jones and Tim Alton, former sous chefs at Yasuragi's Tepanyaki restaurant are the masterminds behind this contemporary concept. 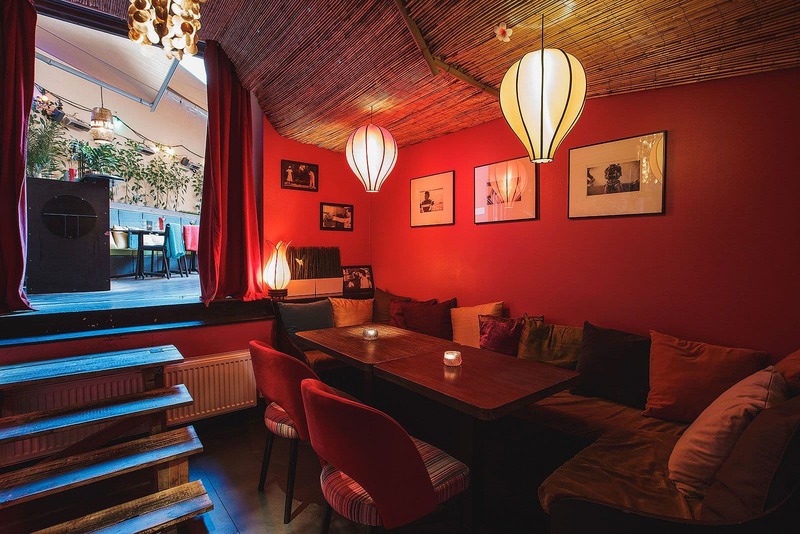 A true taste of Thailand in the heart of Medborgarplatsen. 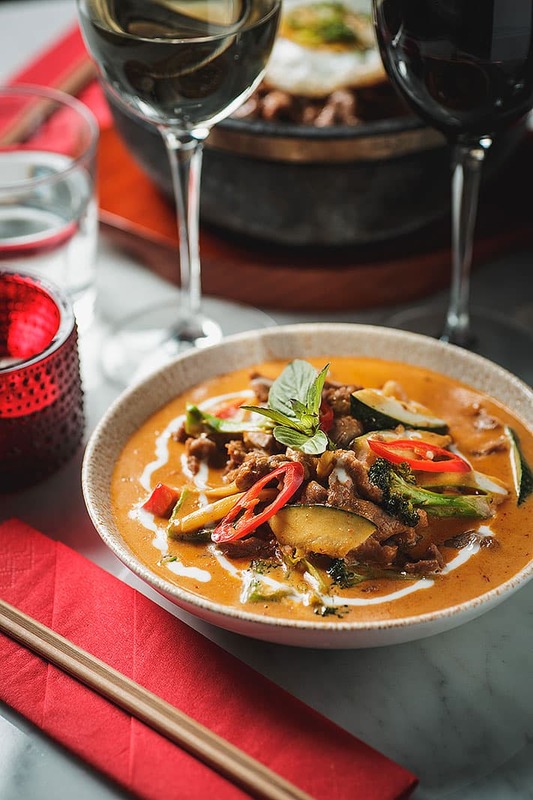 Orkidé has been around since 1992 and it won the price for best Thai restaurant in Europe at the Asian Curry Awards in London in 2012. 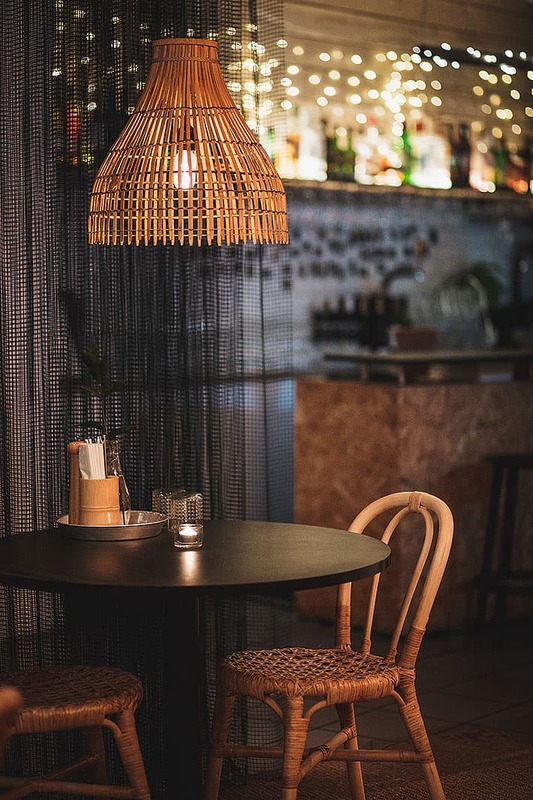 One of Södermalm's longest established Thai restaurants, the emphasis at Orkidé is on authentic flavours served in relaxed, modern surroundings. Hongkist is modern reworking of classic. This industrial-chic restaurant combines influences from Thailand and China, serving traditional flavours with a contemporary twist. 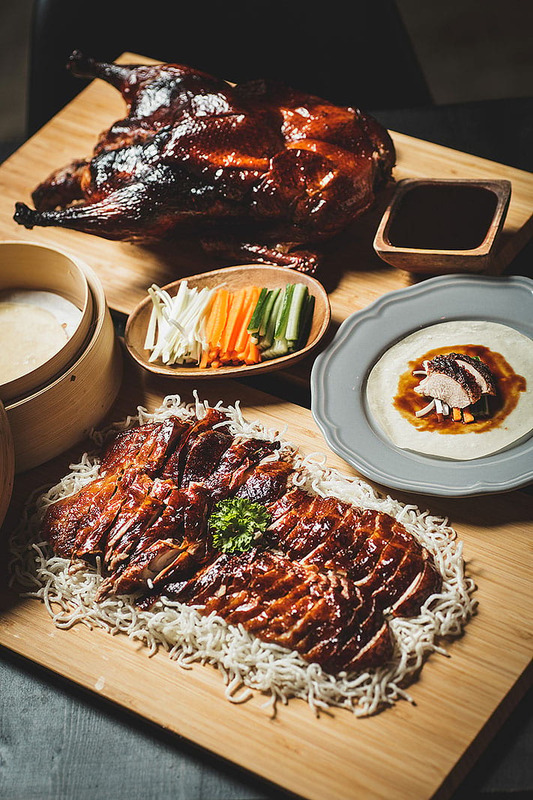 The menu naturally features traditional dishes such as crispy duck, Thai curry and spring rolls. If you want to know how traditional Vietnamese noodle dishes ought to taste, get down to Phở & Bún. 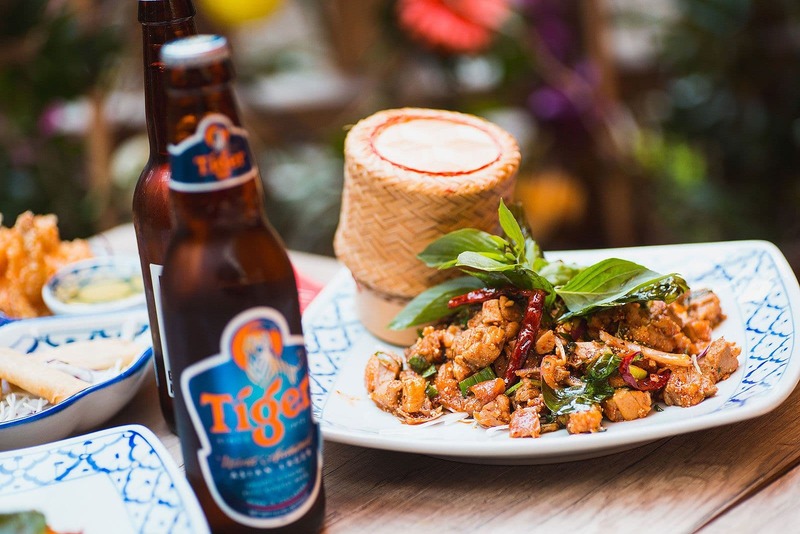 Combine your food with a beer or organic wine and round off your meal with locally-made coconut ice cream and Vietnamese coffee made with condensed milk. This on-trend, award-winning restaurant is based upon the concept of Izakaya, fusing traditional Japanese cuisine with modern fast food culture - contemporary and healthy tapas-style food. The modern eatery's extensive menu also offers sushi and other dishes as well as sake. Berns houses a hotel, nightclub and two restaurants. 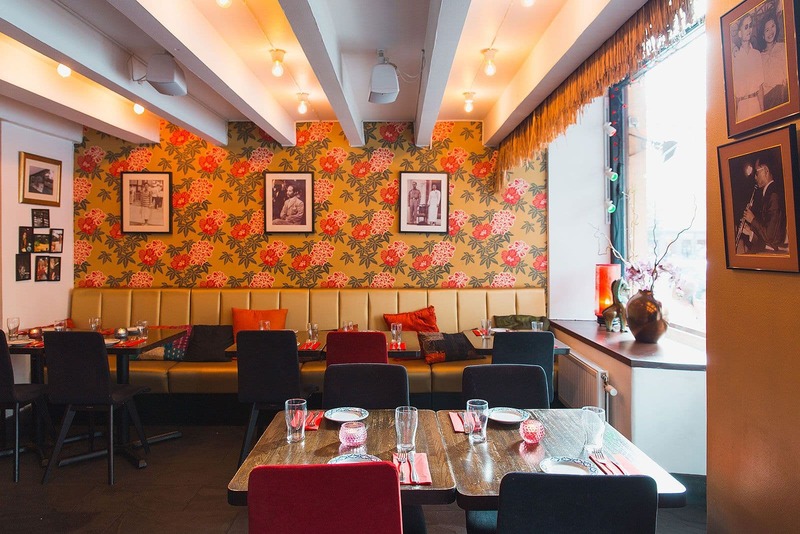 Berns Asiatiska is its flagship and is widely considered to be one of the best Asian fusion restaurants in the city. 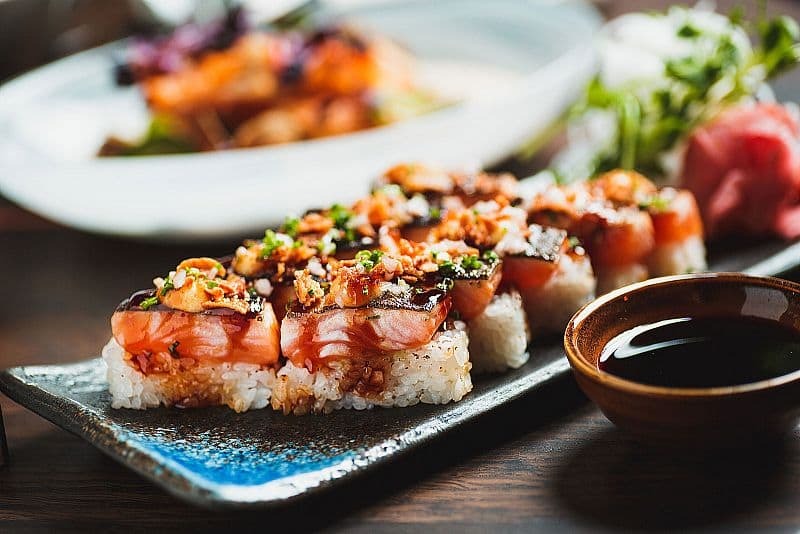 The menu is every bit as exquisite as the venue and features a plethora of sushi, dim sum, spring rolls, tempura and innovative flavour combinations. Miss Voon strikes an elegant balance between East and West. The sophisticated, yet lively restaurant offers a selection of exotic, aromatic dishes, hors d'oeuvres-style - perfect for sharing. The bar with its artisanal cocktails is a popular haunt. 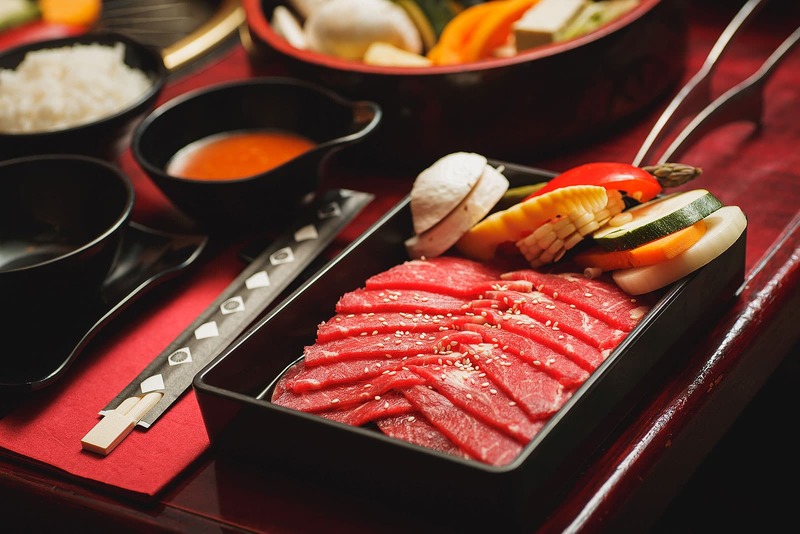 In addition to three different grills, Miss Voon's centrally located "Asian grill" sister (or brother) restaurant can also boast a large range of Japanese wagyu beef and Sweden's first tempura bar. 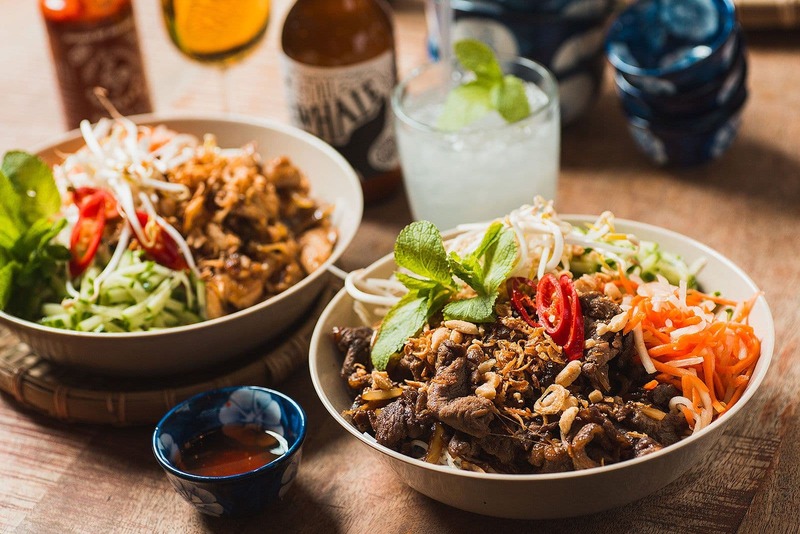 Fancy some Asian streetfood? 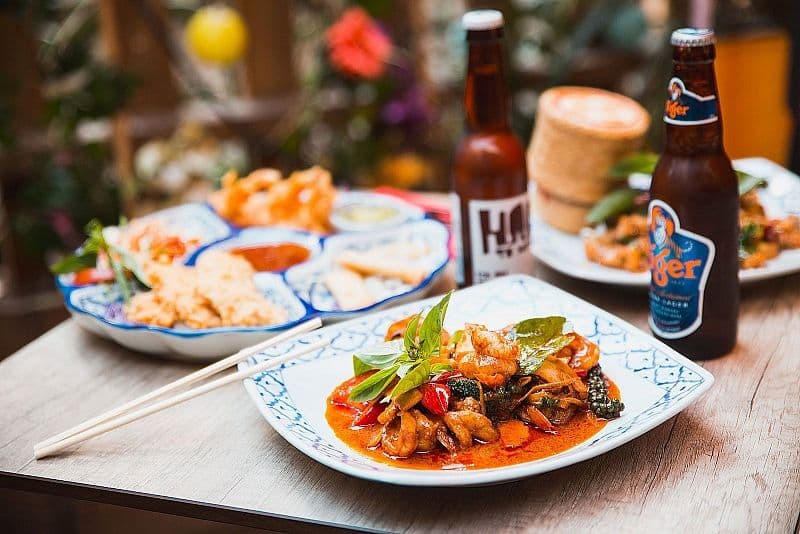 Pop along the road to Mr Voon Street Bar. 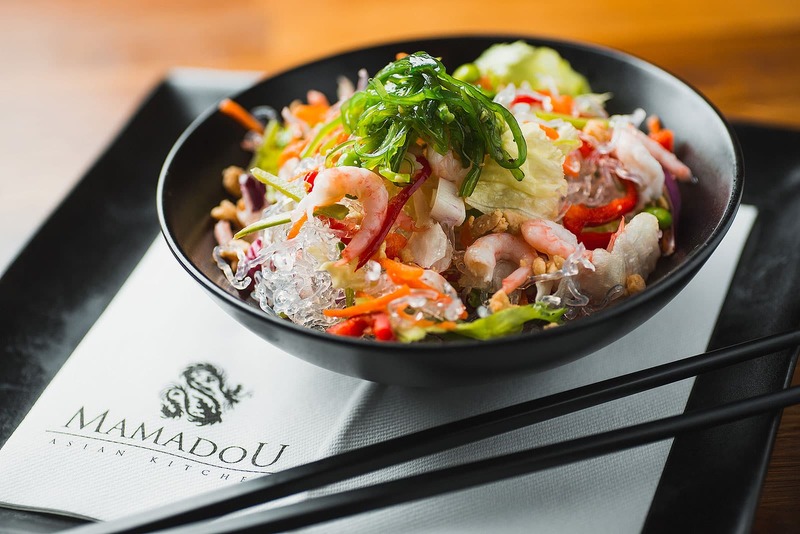 The chefs at centrally-located Weidao get their inspiration from culinary trips to cities such as Bangkok and Seoul, hunting for the best dishes Asia has to offer. 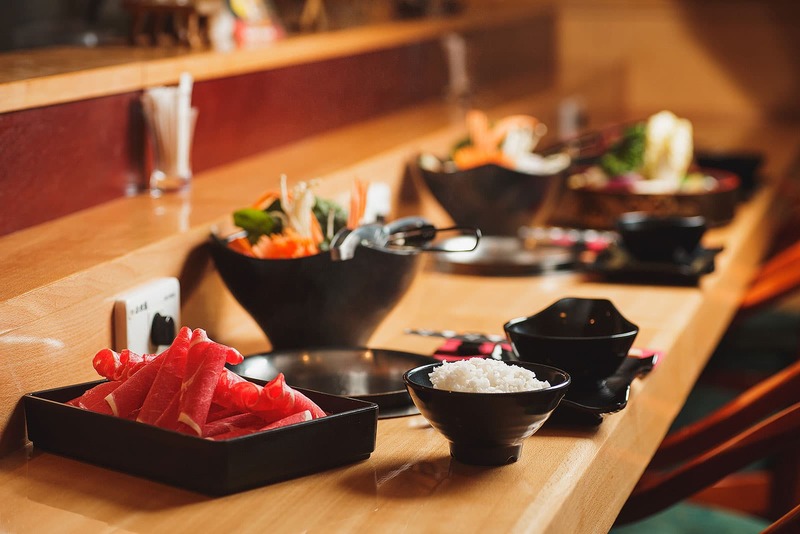 Whether you're in the mood for Korean bibimbap, Thai curry or Japanese sushi you'll find all that and more here - and you can even watch your food being cooked in the open kitchen at the back of the restaurant. 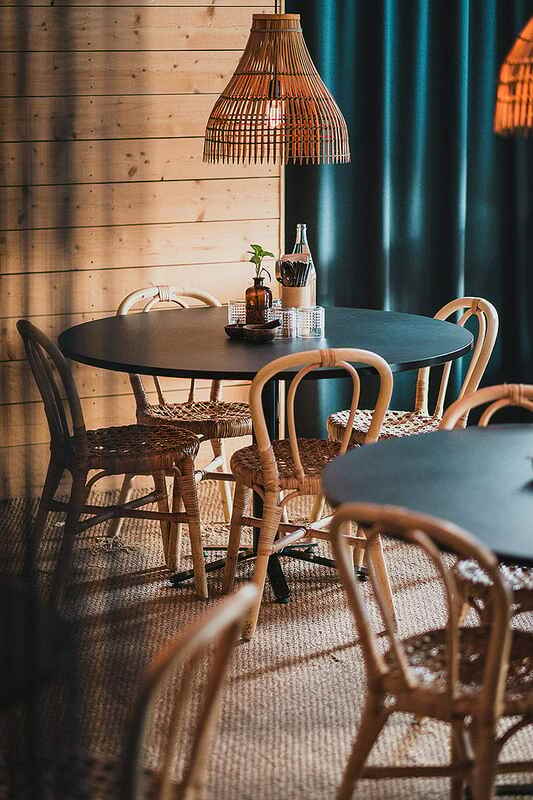 Cloud Nine is proof that Norra Bantorget's transition from dreary to chic is complete. 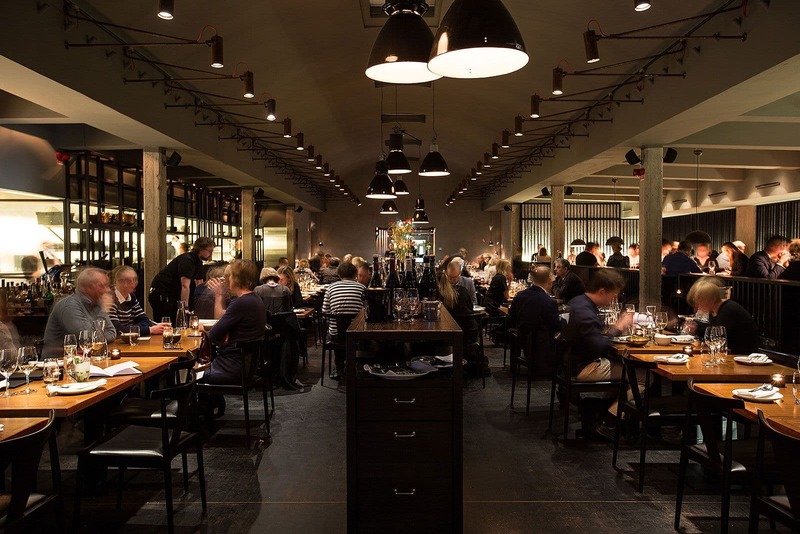 The revitalised area now hosts an abundance of great restaurants - Cloud Nine is one of them. 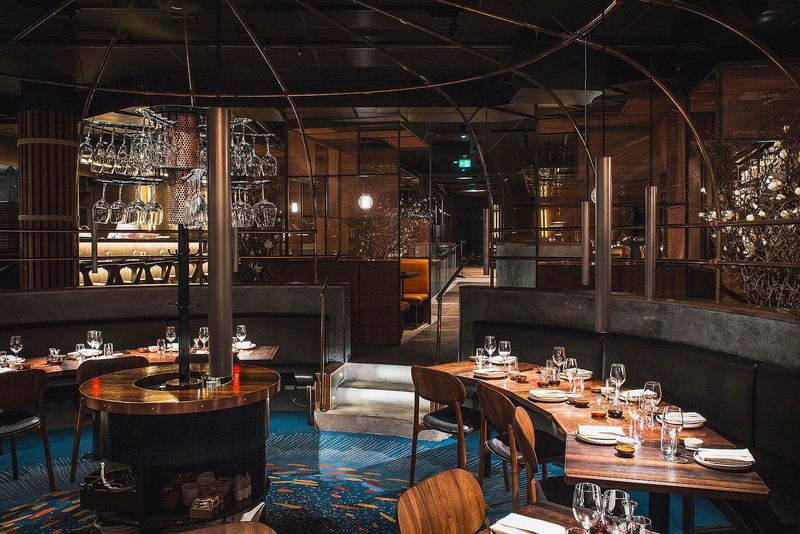 The restaurant fuses French and Asian influences, complete with a Dim Sum Room. 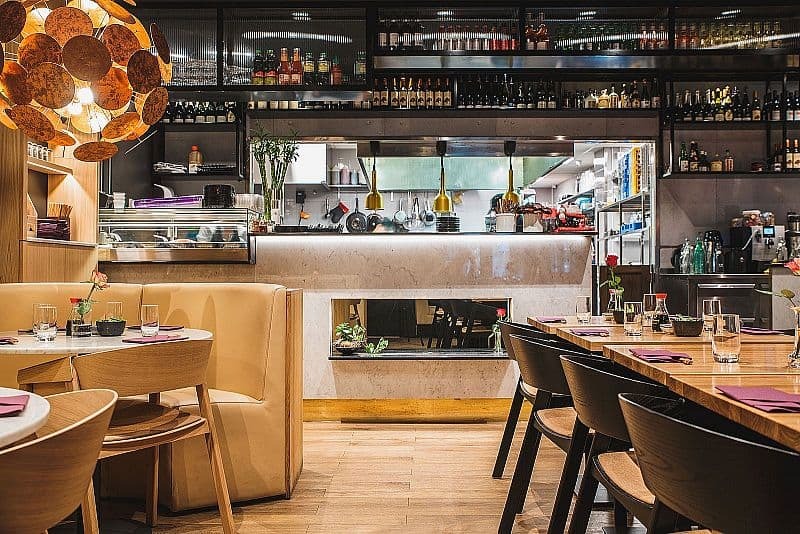 With masterchef Danny Elmaleh in the kitchen, this fab restaurant serves sushi, Japanese grilled dishes and modern interpretations of Japanese classics. Kasai is a restaurant, cocktail lounge, supper club and Japanese garden all under one roof and it's especially lively at the weekend. 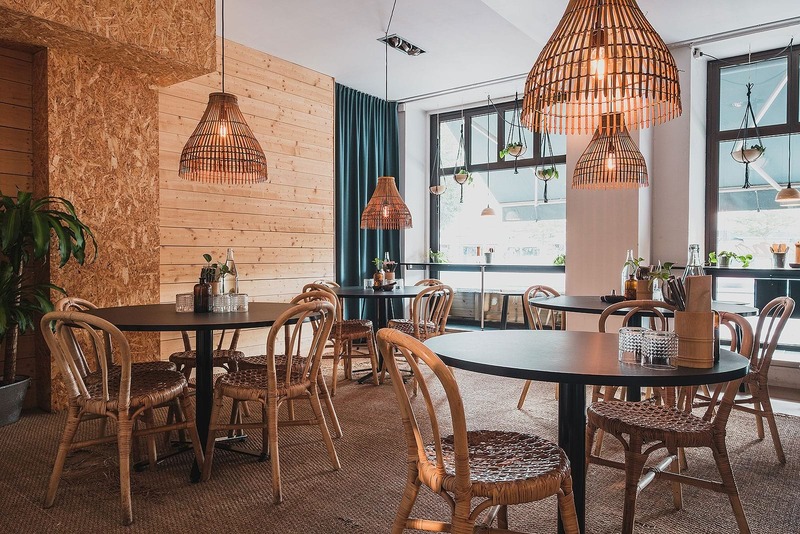 Vietnamese food is a big hit in Stockholm and that's exactly what's on the menu at this good-looking restaurant on Odenplan. 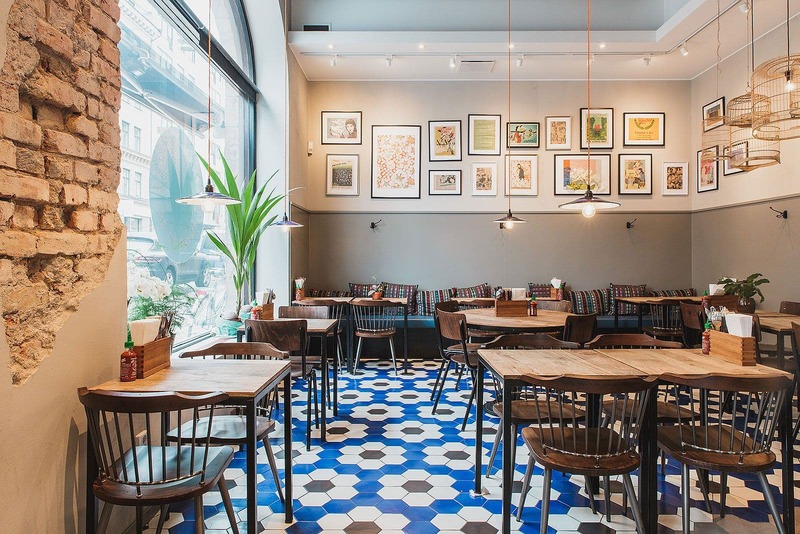 Go on a flavour odyssey to south Saigon among Eatnam's carver chairs, exposed brickwork and wooden tables. 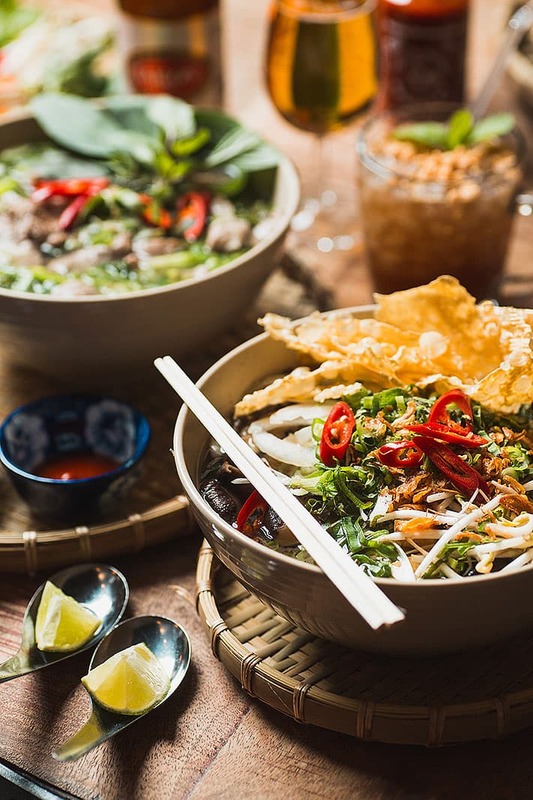 The food - which you order at the counter - is inspired by the owner's grandma's favourites and includes dishes such as spring rolls, noodle soup and noodle salad. Why not pair your meal with an IPA? 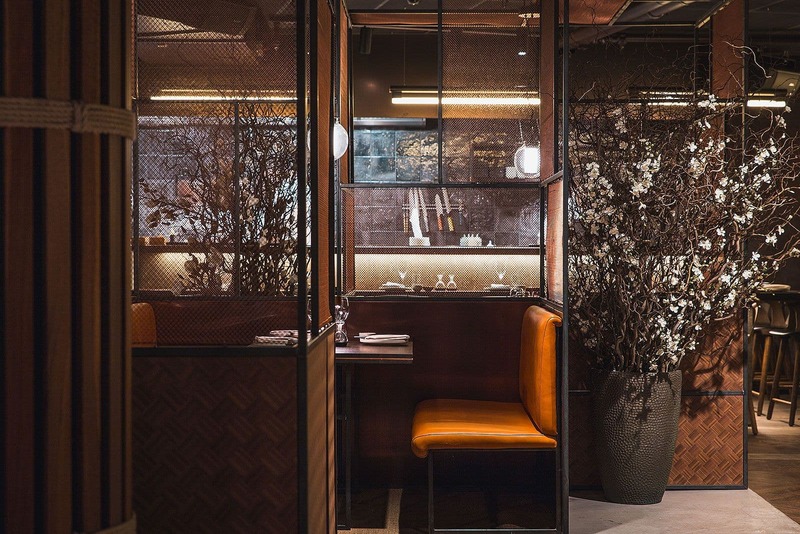 Raw strikes a balance between East and West, the Japanese and European sensibilities translate seamlessly from the sleek interior to the menu. 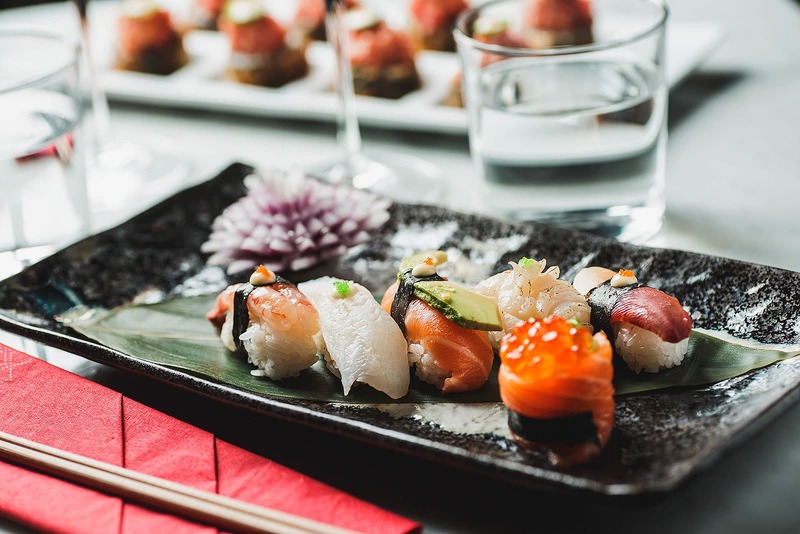 The food is predominantly raw - hence the name - delectable sushi and sashimi as well as grilled dishes. 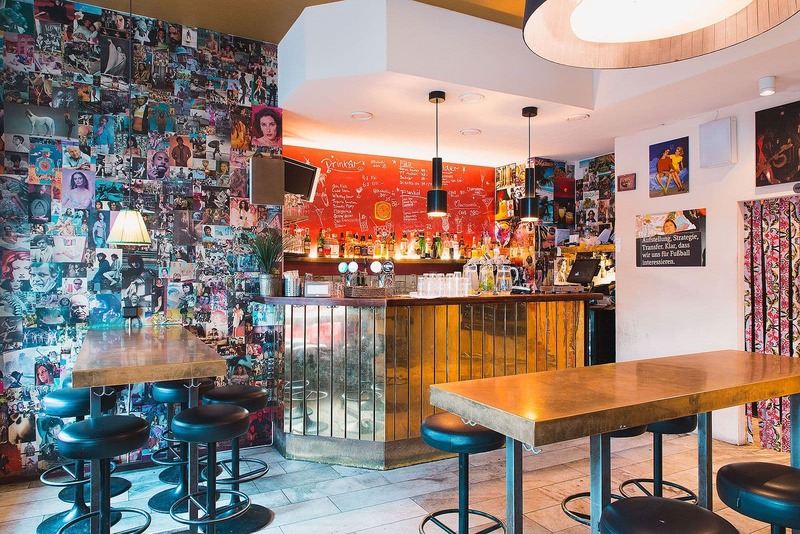 Warung is one of a very few restaurants in Stockholm representing Indonesian cuisine. 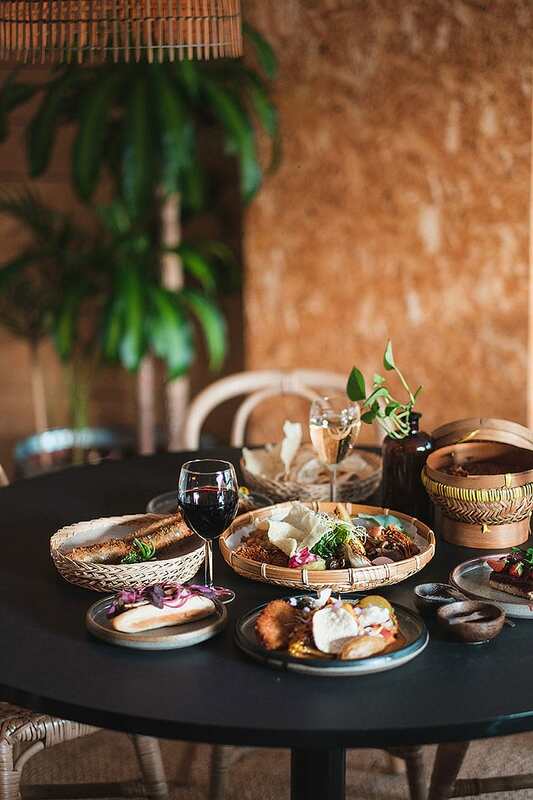 Indonesian dishes such as gado gado are made using Nordic ingredients and you can even get a great cocktail at their little bar. 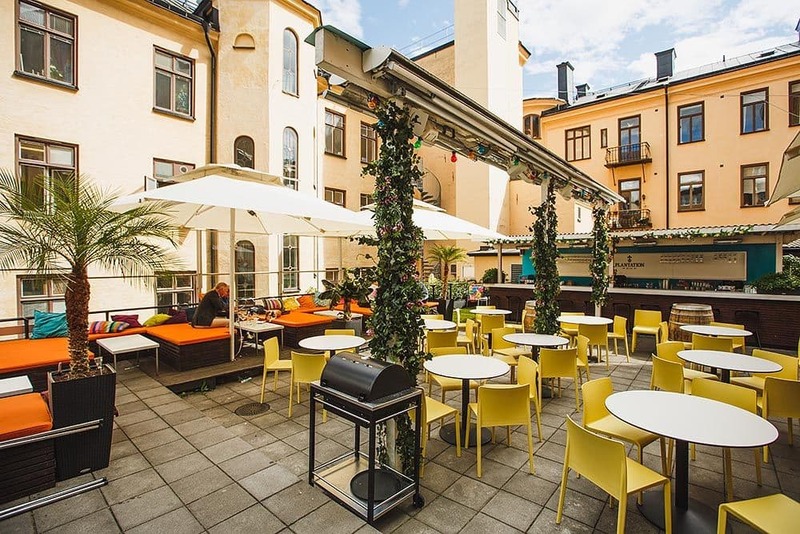 Ljunggren is a popular fusion restaurant located in Brunogallerian. 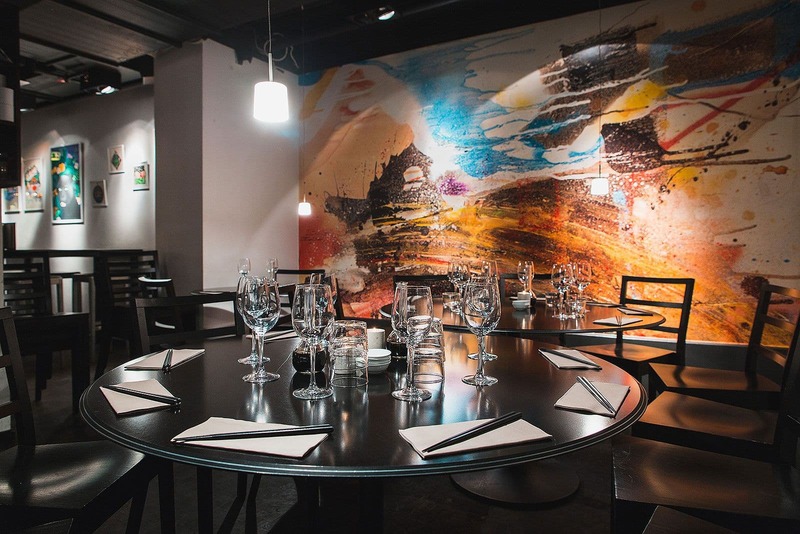 The Asian influences are apparent both in the decor and fine dining-style menu. Adjacent Råbaren has embraced the raw food trend, specialising in gastro raw food and Nordic sashimi. 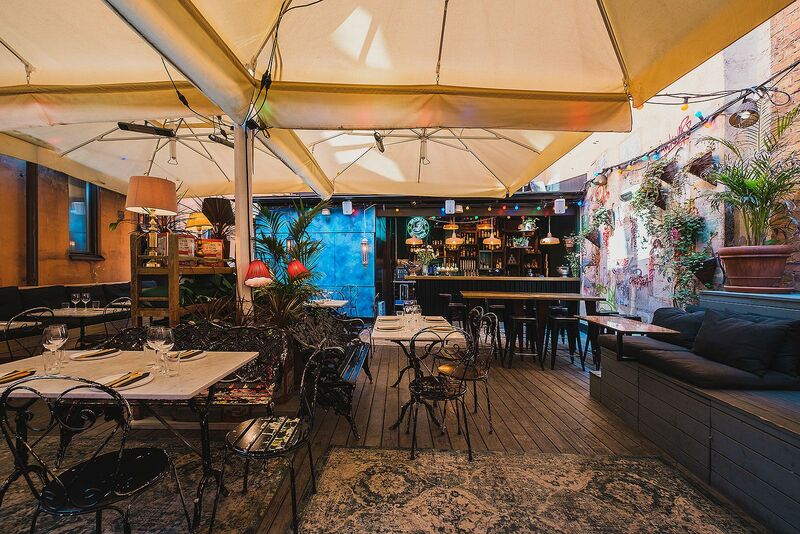 Located just off Stureplan, this hip restaurant fuses Asian flavours with nightclub vibes. 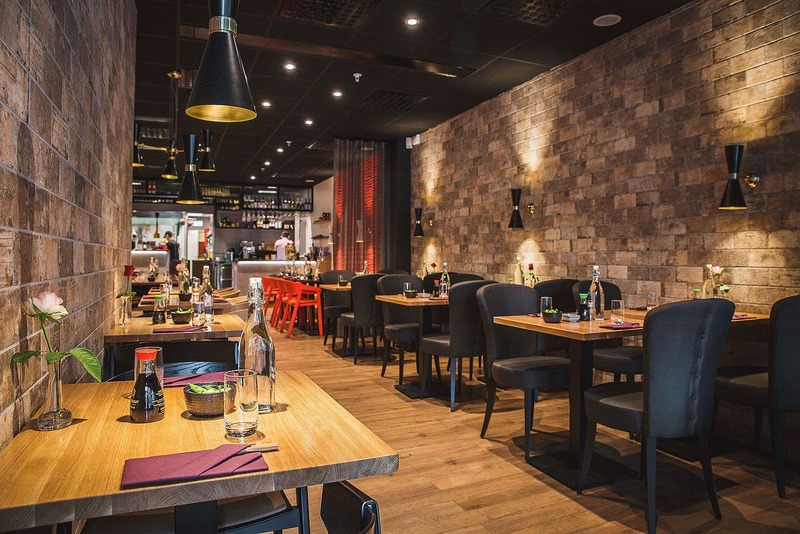 Blending influences from Japan, Korea, Vietnam and Thailand the restaurant caters to a wide audience. The bar is a popular haunt after hours. 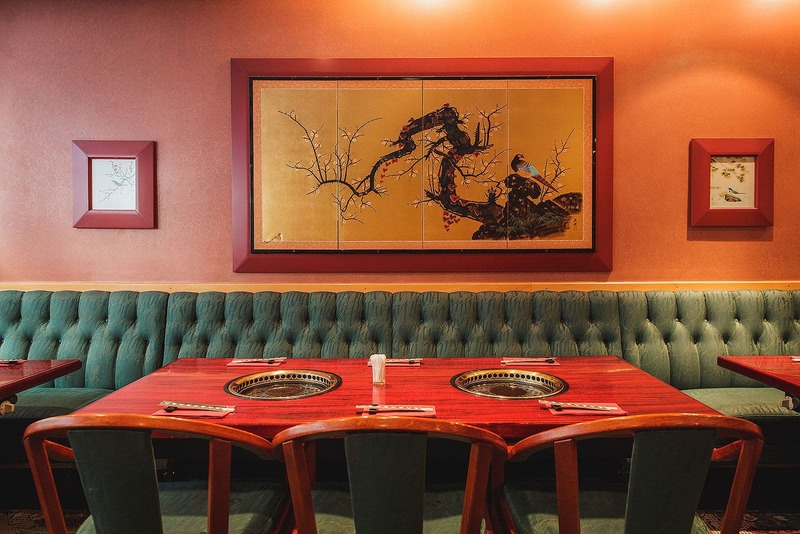 Lokal Izakaya embodies sleek sophistication. 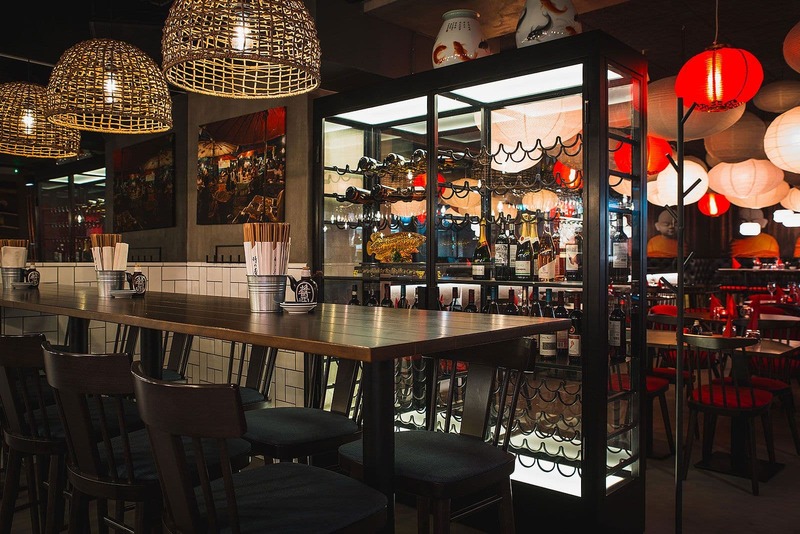 The restaurant has embraced the concept of izakaya - a modern take on Japanese street food. 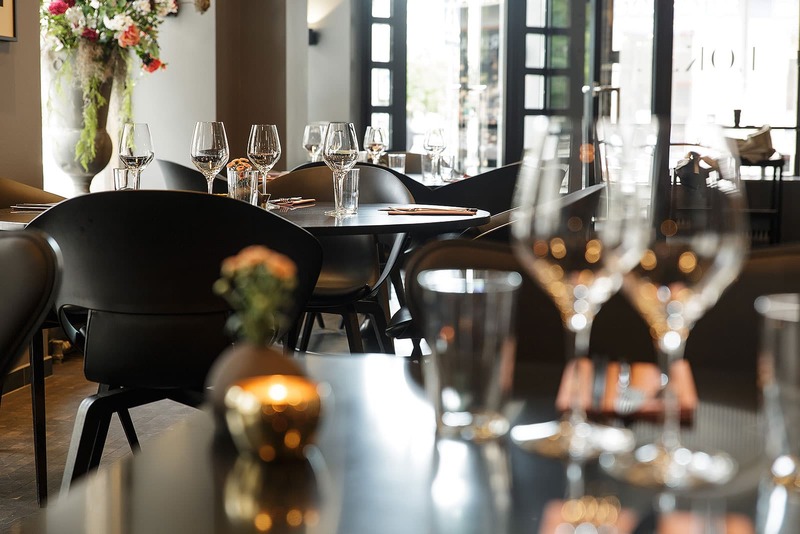 With emphasis on local and organic produce, unpretentious fine dining vibes and relaxed ambiance makes for the ultimate experience. 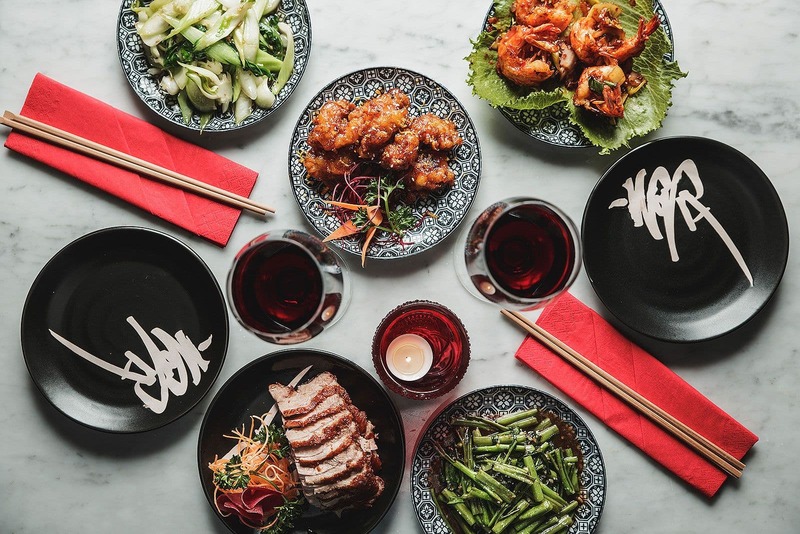 This hip concept specialises in the Chinese street food bao – steamed buns with innovative fillings and exciting flavour sensations. The on-trend minimalistic décor and charming personnel highlights the experience. 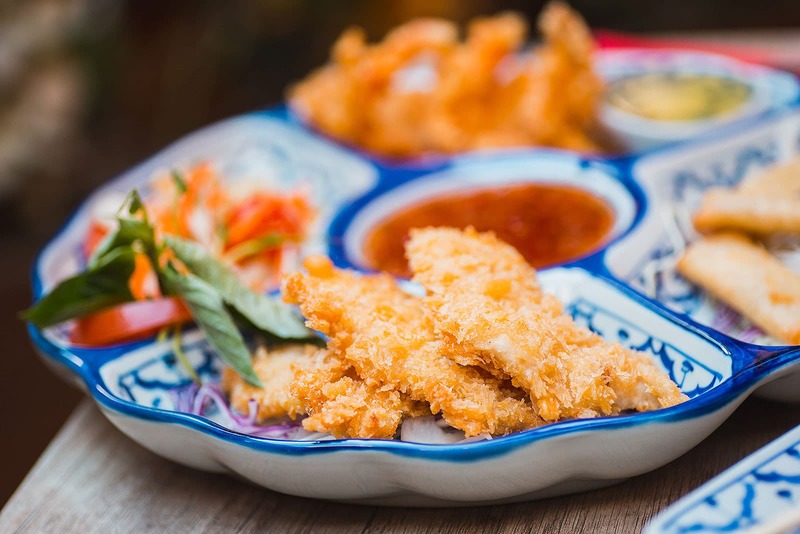 This Asian fast-food joint located in K25's food court serves authentic street food. 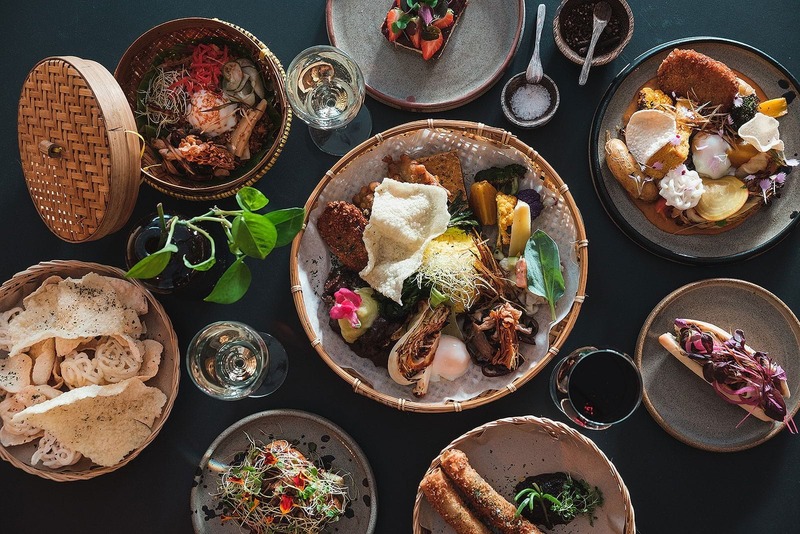 The selective menu features exotic flavours from Southeast Asia and Korea. 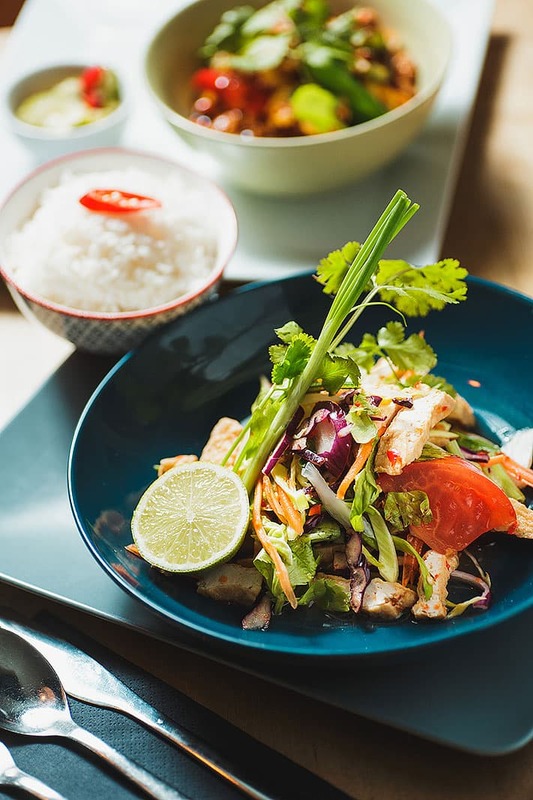 Get your dose of Thai curry, bibimbap, fresh rolls, Vietnamese 'backpackers' baguettes and noodle soup on the go. 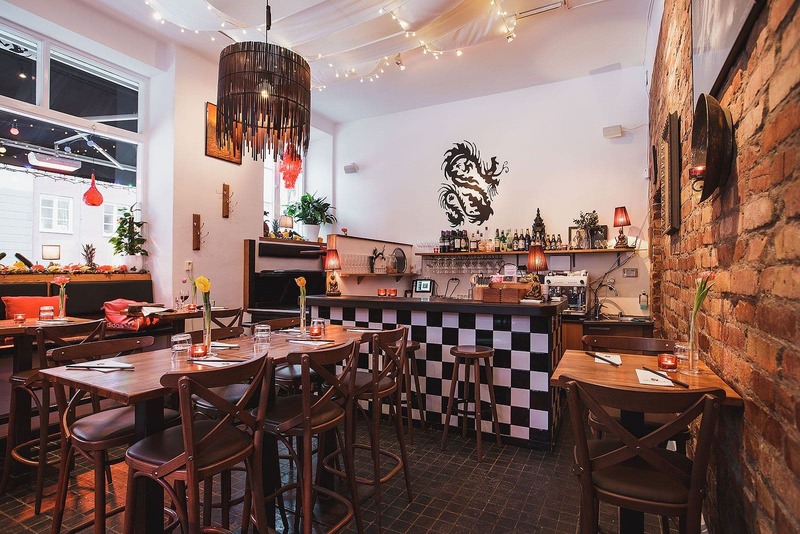 Waan Thai in Vasastan is usually packed around lunchtime and in the afternoon. 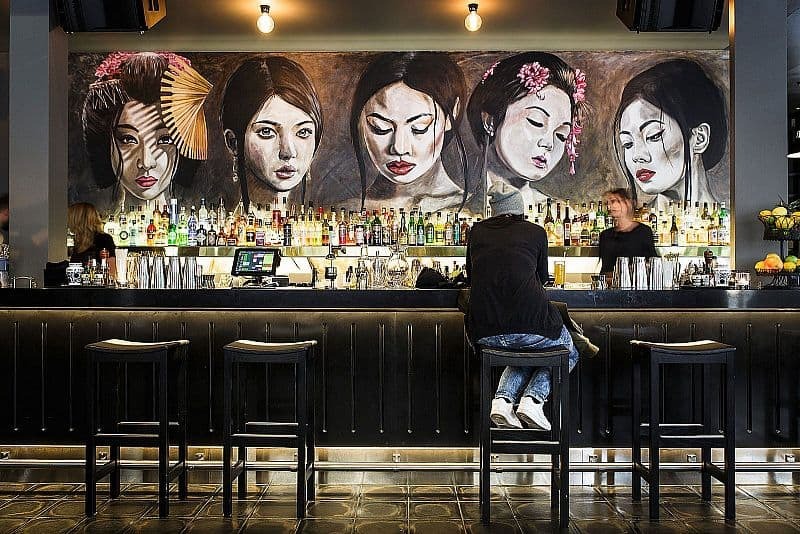 Locals flock here for the authentic Thai flavours, a beer or an exotic cocktail at the bar. 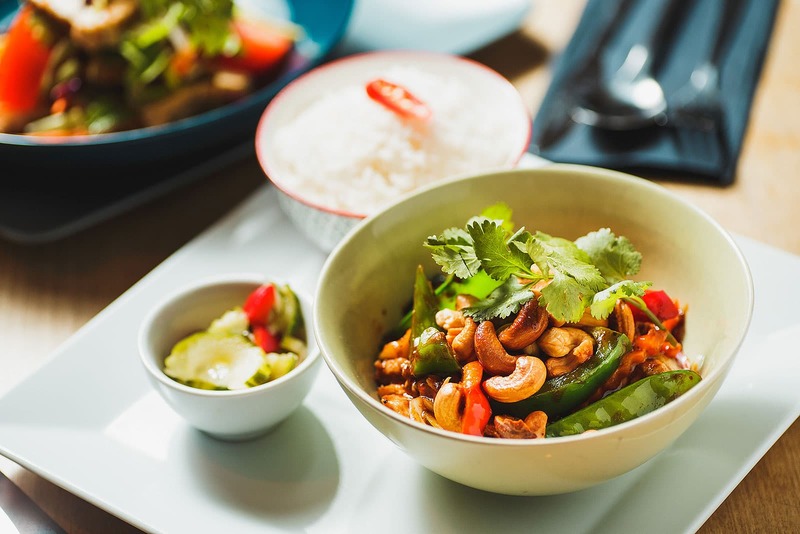 The extensive à la carte menu includes everything from noodle and curry dishes to soups and vegan options. 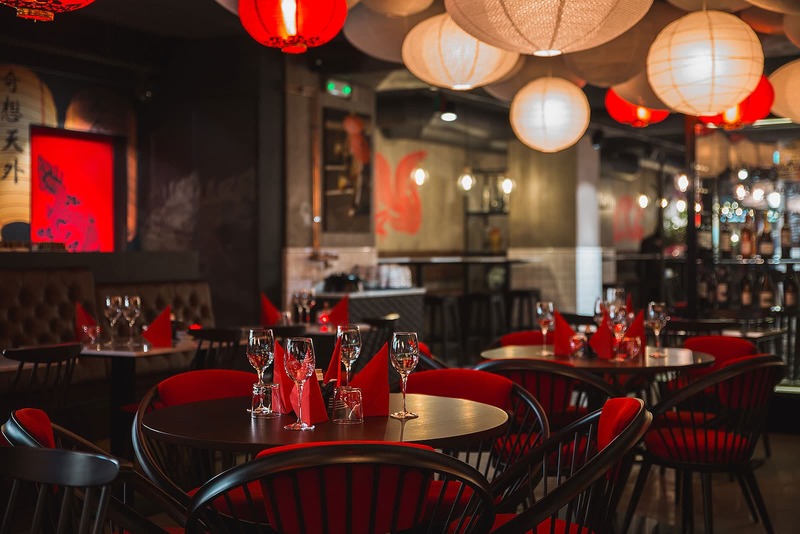 Wäng Izakaya has created a little corner of Asia with red interiors and a sea of rice paper lanterns hanging from the ceiling. 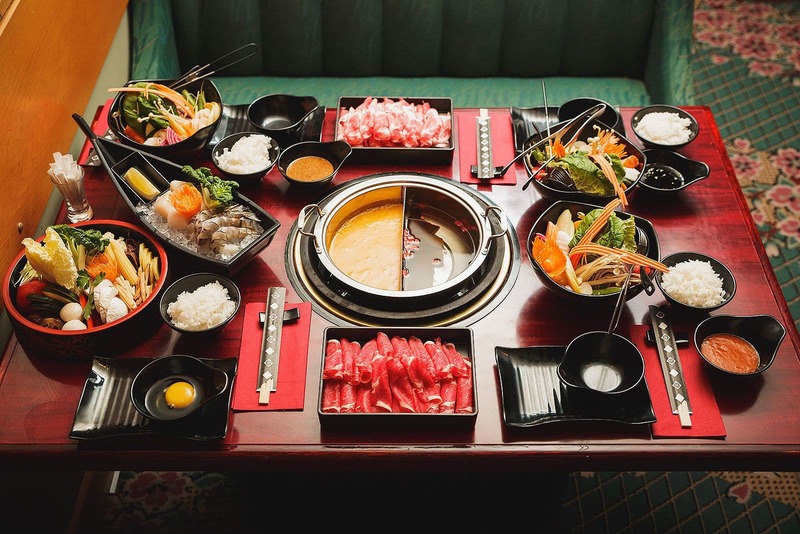 The menu encompasses several different Asian cuisines, with typical dishes such as sushi, noodles and bibimbap. There's even a cocktail bar for anyone who wants to stay on for an exotically-flavoured drink after their meal. 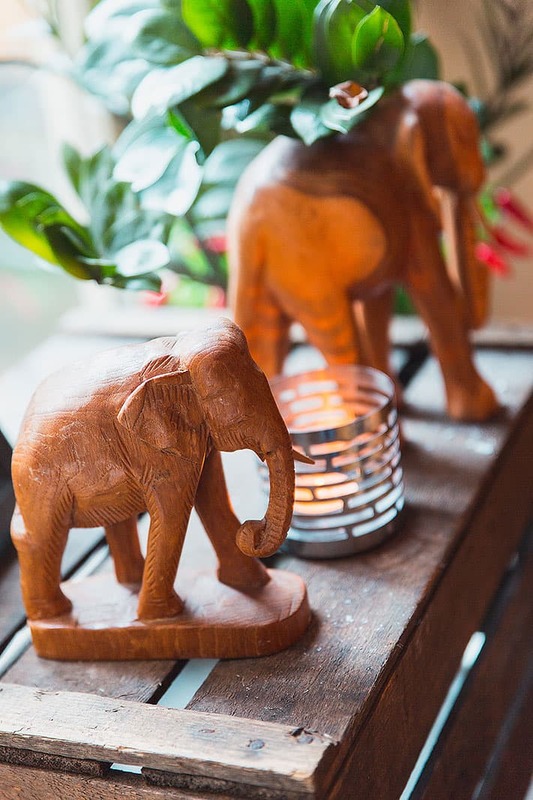 Elefantpojken is famous for its lively bar scene and Thai cuisine. Regulars return to eat Thai favourites such as green curry and noodle dishes, or to meet up for a post-work drink. 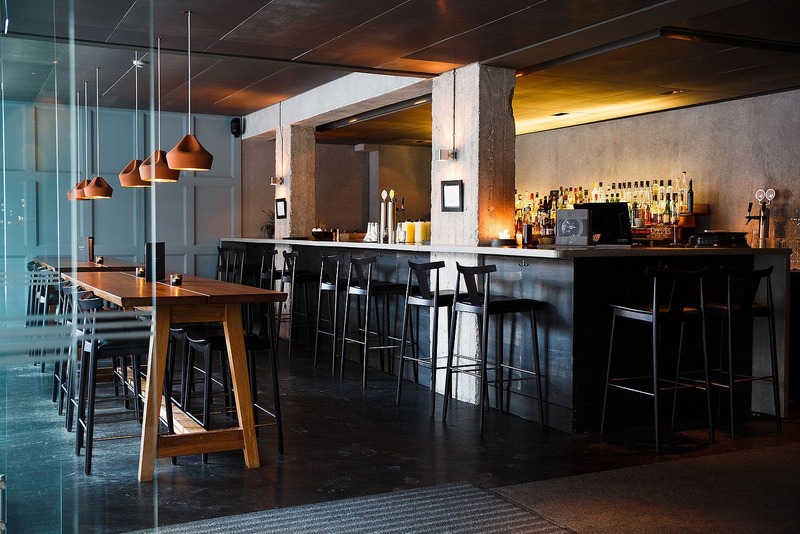 Dishes can be ordered in two sizes and the bar serves beer, wine and cocktails. 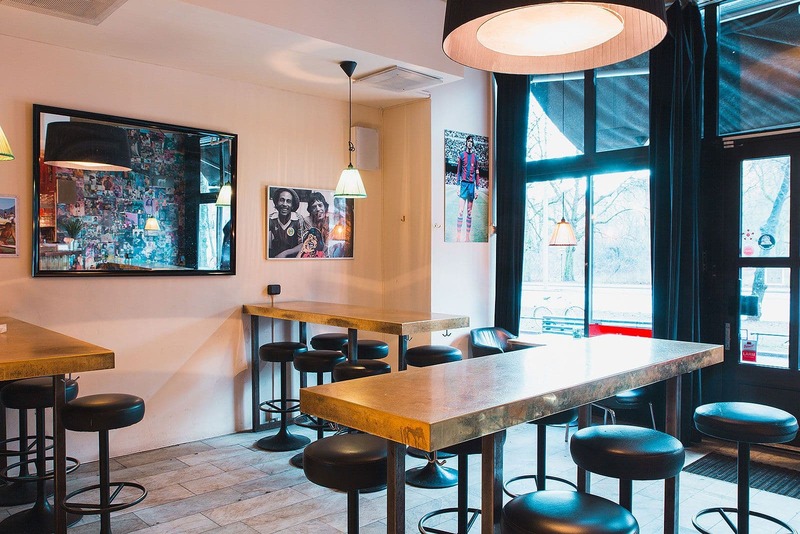 Mamadou on Kungsholmen serves simple but great quality dishes from various Asian cuisines. 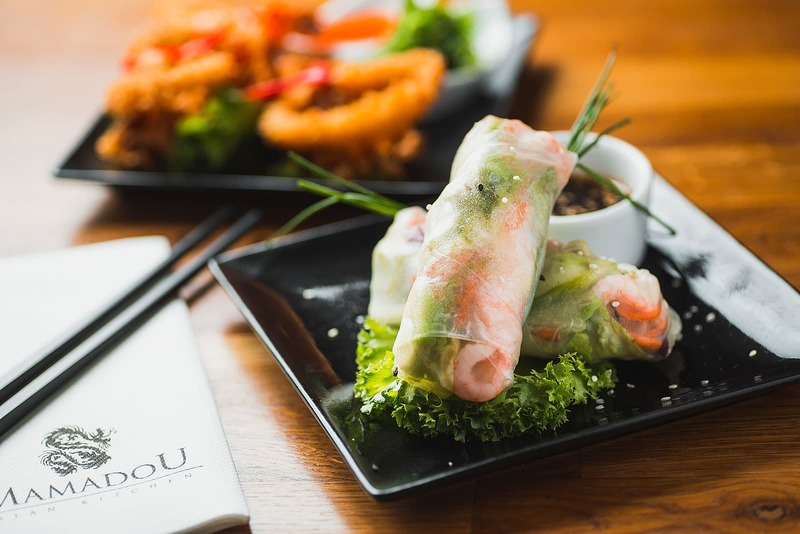 Spring rolls, dumplings, wok and tandoori are among the dishes on offer, with fun names such as "Super bowl", "Fry me to the moon" and "Red red rice". 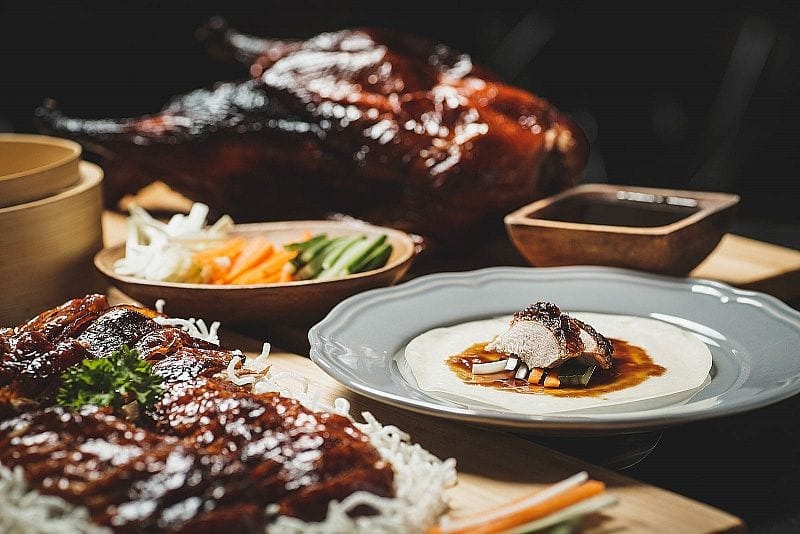 Try an out-of-the-ordinary Asian dinner experience. Inspired by Japanese and Taiwanese traditions, you can order one of their hot-pots and cook your food yourself at the table. 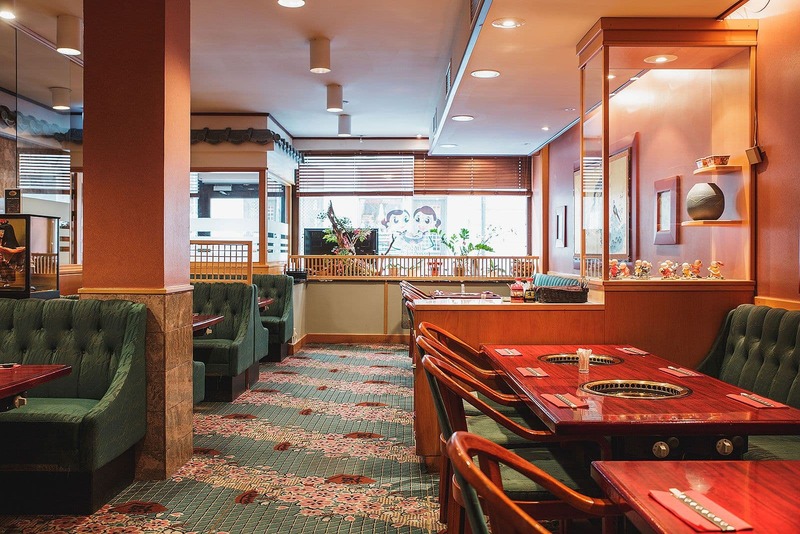 If you'd rather eat something else they have an à la carte menu with dishes from all over Asian, and if you're not ready to go home after your meal you can book their karaoke room. 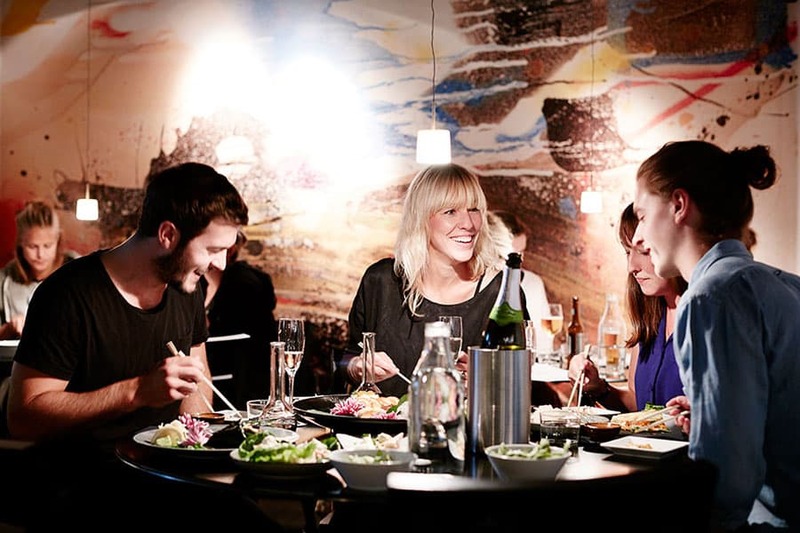 Our guide to the best Asian restaurants in Stockholm is updated continuously. Feel free to email us at hello@thatsup.se if you feel that we should add a Asian restaurant in Stockholm to our guide. 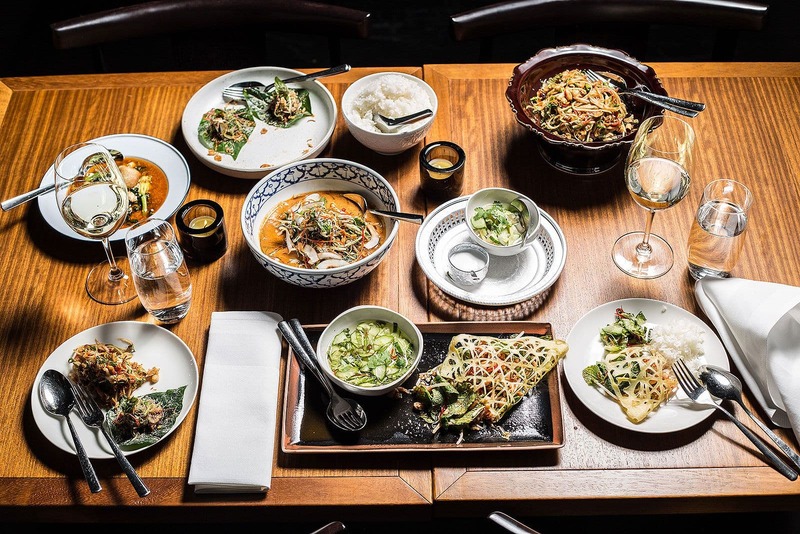 Please let us know if you see any mistakes in our guide to the best Asian restaurants in Stockholm. Otherwise enjoy your visit to the restaurant of your choice.